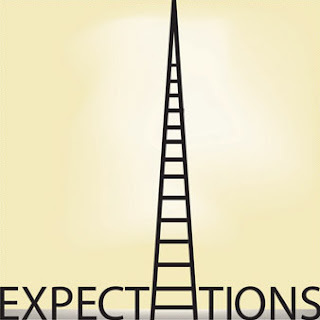 Is it bad to have expectations? We always expect something or the other. We expect to wake up early and sleep early. We expect to stay away from illness and problems. We expect to enjoy life. We expect to find someone who never expects anything in return. We expect our loved one’s calls or at least a message or mail. We expect happiness of our special ones. We may even give up the relationship, expecting for their happiness. And I expect people to read it and comment on it! Life is surrounded by innumerous expectations. We go for shopping, expecting to buy something unique. We read a book, expecting to be entertained or informed. We know that expectations may hurt. 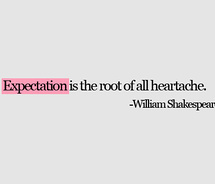 Expecting too much may lead to disappointments. Yet, we expect. Its humane! We live our life expecting death! Expecting nothing in return is an expectation in itself!! That is because you expected to understand what you read! !